Alabama had the unhealthiest increase. There, the rate increased 1.5 percentage points to 27.7 percent. Oregon's rate held steady at 21 percent. While certain regions of the country fared worse than others, particularly the Southeast, the organization said that no state meets the federal government's goal of a 15 percent obesity rate for adults by 2010. 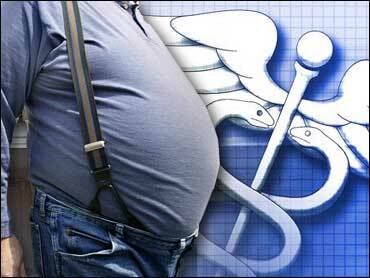 "Bulging waistlines are growing and it's going to cost taxpayers more dollars regardless of where you live," said Shelley Hearne, executive director of the Trust for America's Health. Hearne said the United States is stuck in a "debate limbo" about how the government should confront obesity. She used the report to call for more government action on several fronts, such as ensuring that land use plans promote physical activity, that school lunch programs serve healthier meals and that Medicaid recipients get access to subsidized fitness programs, such as aerobics classes at the local YMCA. "We have a crisis of poor nutrition and physical inactivity in the U.S., and it's time we dealt with it," she said.